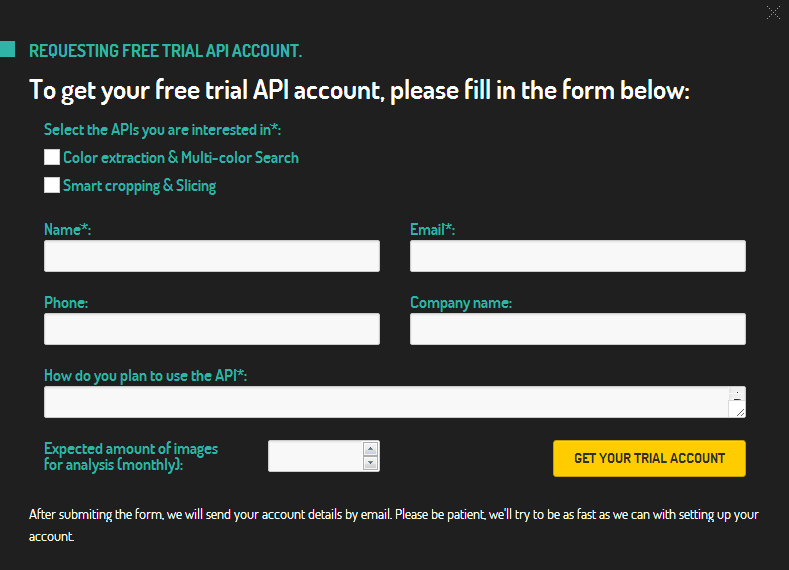 We are very excited to announce that we just achieved a major milestone – we fully automated the process of creating trial API accounts for people who want try out our technologies immediately! In a few second you’ll get a confirmation e-mail that we’ve received your request, and in less than an hour you’ll receive another e-mail containing all API credentials and a PHP kit. You can use the kit as a blue-print for integratimg the technologies in your own web projects. Even if PHP is not the platform of your choice – you can use the PHP kit and the API documentation as a reference how to do it in your own platform of choice.